These last few weeks have been kinda mostly overwhelming in the demands on my time. Stuff happens. I’m working on a new post, but I must dig through the scrapbooks for pictures before we moved to digital photography. Sorry, no spoilers here. In the meantime, enjoy this post about the need for entertainment no matter where we are. When I was out of town recently, I stopped to get gas at a station I rarely go to. Before I got out of the car, I heard loud voices. No one was standing nearby. 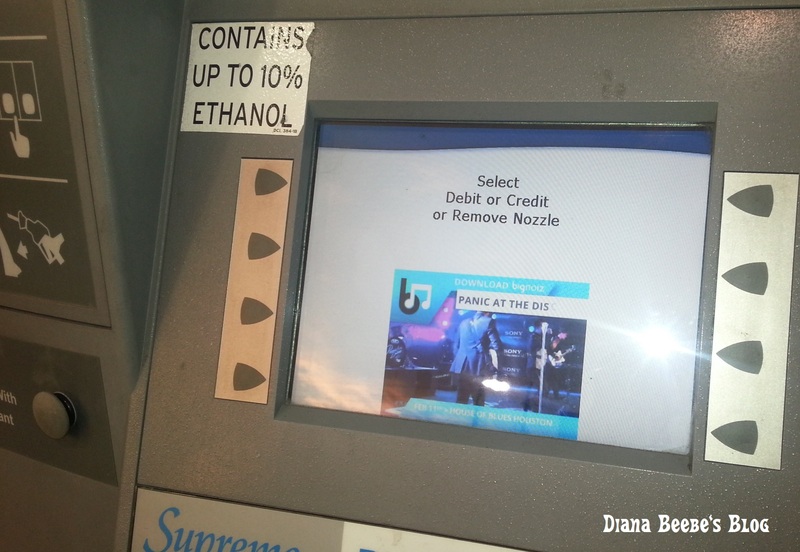 The gas pumps had TV screens. It doesn’t take very long to pump gas, right? A captive audience for the five or so minutes it takes to do the job. With all the stories about staying alert and keeping an eye out while we’re pumping, this gas station has a TV running news (sports and weather) on every pump. There were probably ads, too. If there were, I ignored them, as usual. Don’t you? Admittedly, it was nice to see the weather. I learned that I was about to drive in rain for at least two hours. It was something I hadn’t checked before leaving my sister’s house. It could’ve warned me about the fog in Dallas though. I’d love to hear what you think. What do you think about these gas pump televisions? Have you seen TVs in other unexpected places?